According to Current News Magazine, the pancake market is expected to grow 3.9 per cent during 2019-2022. They say that the main reason for this increase in popularity is because customers are being introduced to different types of pancakes and unique toppings. One day in particular that is expected to have increased sales of pancakes is Pancake Day. 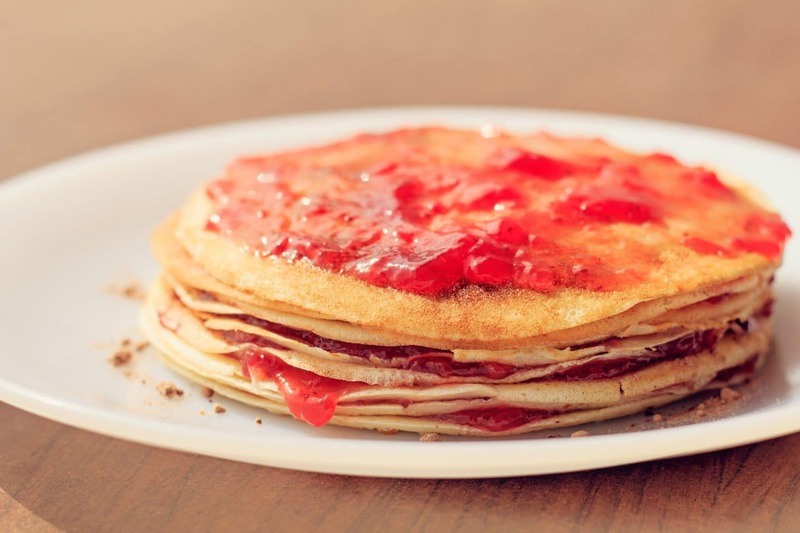 Taking place on 5 March 2019, Pancake Day, also known as shrove Tuesday, is the day in February or March immediately preceding Ash Wednesday (the first day of Lent), which is celebrated by consuming pancakes. This day offers a window of opportunity that operators can capitalise on to take advantage of increased consumer interest in pancakes. In the UK in particular, Pancake Day is extremely popular because it gives consumers the chance to indulge after a healthy start to the new year. 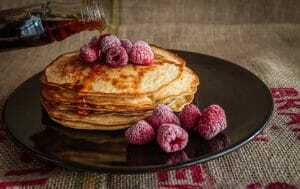 According to Pinterest, some of the most popular types of pancakes are buttermilk pancakes (a small, thick pancake), crepes (a wide, thin pancake), dutch baby (a pancake that is baked in the oven) and souffle pancakes (an extra tick, fluffy pancake). 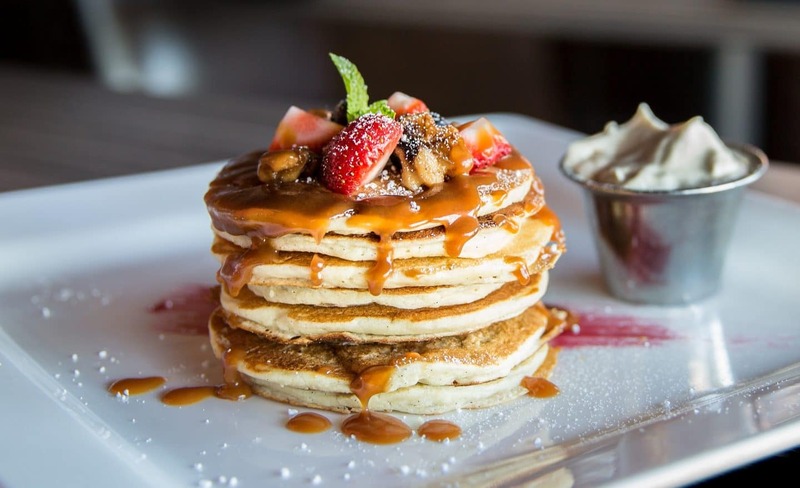 If you are looking to celebrate Pancake Day by enjoying some pancakes then we recommend going to the following places: Apres Food Co (Farringdon, London), Bad Egg (Moorgate, London), Cherry Red (York Road, Birmingham) and Loudons (Fountainbridge, Edinburgh). All of these places also offer takeaway so that consumers can enjoy their pancakes on-the-go or in the comfort of their own home. So, what’s the best way to serve pancakes on-the-go? Well, it depends on the toppings. If serving the pancake plain, a simple paper bag and napkin is a practical, cheap option. If serving with toppings, a sturdy tray might be the better option. 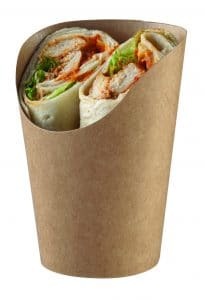 At Bunzl Catering Supplies, we sell food on-the-go trays in lots of materials, shapes and sizes, including: foam, foil, rPET (made from recycled PET – and recyclable) cardboard and bagasse (made from sugar cane – and compostable). Another option, is to serve pancakes in a snack cup, from our partner supplier of food packaging Colpac. Snack Cups are available in both Kraft (brown) and white, and have a flat bottom for sitting on a table top or counter, but are also easily held in one hand for eating on-the-go. The shape of a snack cup allows for the pancake to be folded together, with a filling or topping piled into the middle. For more information on our range of food packaging, visit our e-brochure. Alternatively, get in touch with Bunzl Catering Supplies today.